To dissect the current state of hockey and collaboratively identify and address key concerns and issues facing the game today as well as opportunities to further grow and develop the sport. The summit's core theme -- Global Teamwork Promoting the Growth of the Game -- will be brought to life through interactive seminars, presentations and discussions, led by a who's who of the global hockey world from the National Hockey League, International Ice Hockey Federation, Hockey Canada, USA Hockey, and Canadian Hockey League. 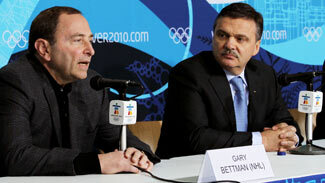 This is the first time the major organizations in the hockey world will hold a summit meeting.